It's not her first dream, but it's the first dream she ever talked with me about. At far too early on a Saturday I was changing the twins and getting them dressed when the little blonde princess who was asleep, woke up and rubbing her eyes says "There's animals in there." I laughed a little, and asked "What baby?" She looked around, "Mommy where all animals go?" I told her it was a dream, but she kept looking around, unsure at the age of two that the wonderful world of her sleep wasn't part of her waking world too. 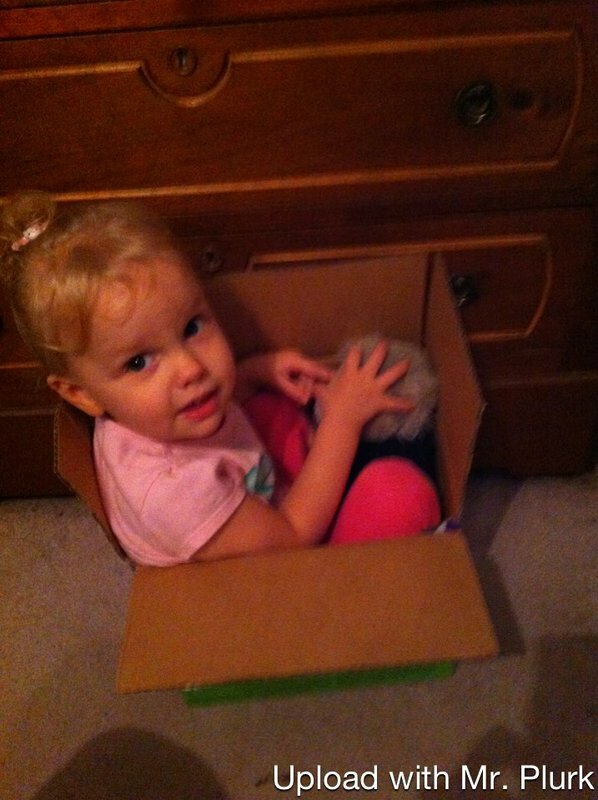 Finally as I was strapping up my foot (totally different blog post) she walked over to her Daddy's closet and pointed, "Animals asleep in there. Shhh Mommy don't open door." Ah she sorted it out. The animals had gone to sleep. I agreed not to open the door and we went to make breakfast. Now I'm wondering what sort of animals are sleeping in there.